U.S. Bishops: "Government Has No Place Defining Religion"
The U.S. Bishops are strongly united in their ongoing and determined efforts to protect religious freedom, the Administrative Committee of the United States Conference of Catholic Bishops (USCCB) said in a March 14 statement. . . . . The bishops thanked supporters from the Catholic community and beyond “who have stood firmly with us in our vigorous opposition to this unjust and illegal mandate" [that forces all private health plans to provide coverage of sterilization and contraceptives – including abortion-inducing drugs]. Pray and fast that religious liberty may be restored. Urge your U.S. Representative to support the Respect for Rights of Conscience Act. Sign open letter from women (spearheaded by Helen Alvaré) to President Obama, Secretary Sebelius and Members of Congress: Don't Claim to Speak for All Women. | ph: 815-277-6244. Sponsored by Pro-Life Action League and Citizens for a Pro-Life Society, and locally in part by Texas Pro-Life Action Team. 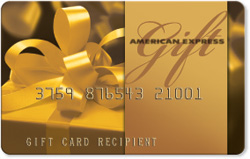 We’re so excited about our 2012 Bishop’s Dinner Raffle, with a $15,000 American Express Gift Card* as the Grand Prize, a Carnival cruise as the second prize and a BlackBerry PlayBook tablet as third prize! All net proceeds from the raffle support the life-saving ministries of the CPLC. Click here to buy tickets to enter the raffle. Or you can be the one to sell the most tickets and receive a big batch of tickets to be entered with your name! and provide your name, address and number of tickets you think you can sell. Click here for more info and raffle rules. We start the second half of this 40 Days for Life campaign with HUGE news — and amazing proof that God is at work through your efforts! 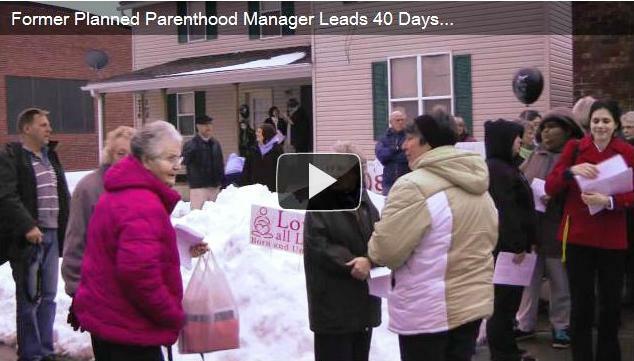 This short video documents the historic closure of a Planned Parenthood center on the very day it went out of business following the first — and ONLY — local 40 Days for Life campaign held outside its doors. Join peaceful prayer presence outside McKinney Planned Parenthood through April 1 – For more info and to sign up to pray, visit 40daysforlife.com/mckinney. CPLC in the News – Debunking myth that Planned Parenthood is the only "health care" provider for low-income women: Watch Fox 4 interview of Karen Garnett and read Milissa Kukla's letter in Dallas Morning News. Actress Shari Rigby sat right across from her interviewer, her legs crossed. On the instep of her right foot was a tattoo of a flower. She was asked what it was. "Her name would have been Lily," Rigby answered, "and so that's there to remind me." She was talking about the baby she had aborted 20 years ago. Rigby plays a relatively small part in the new movie "October Baby," but it's a pivotal role: She plays the birth mother of Hannah (Rachel Hendrix) Continue reading.